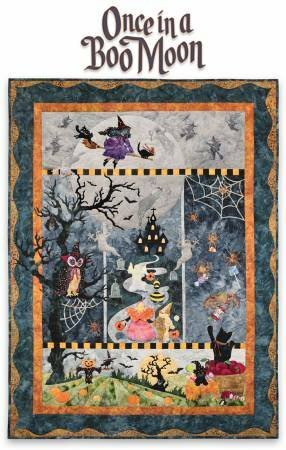 Once In A Boo Moon by McKenna Ryan is a 6 month BOM. Finished size is 46-1/2" x 61-1/2". Included in the BOM is fabric and embellishments to complete the top, pattern and directions, and binding fabric. $ 40 per month plus $ 7.00 Shipping and Handling.